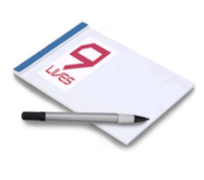 9Lives processes your personal data when you use our website at www.9lives.fi. When you visit and navigate www.9lives.fi, we process personal information about you. ​IP address, operating system, language settings, browser type, type of equipment, MAC number (depending on equipment), etc. Your navigation on the website and immediately before and after your visit on www.9lives.fi. Time and duration of visits to pages and sub-pages, etc. The legal basis for collection of your personal data by means of cookies, including for profiling purposes, is your consent. Your personal data may be processed for other purposes and based on another legal basis, including documentation of compliance with legislation, see article 6(1)(c) of the GDPR, and pursuing legal interests in accordance with 9Lives’s legitimate interests in safeguarding its legal position, see article 6(1)(f) of the GDPR. You have the right to - for reasons relating to your particular situation - raise objections to the processing of personal data where the legal basis is legitimate interests, as stated above. 9Lives must then no longer process personal information unless 9Lives can demonstrate legitimate reasons for the processing that precedes your interests and rights or the processing is necessary for legal claims to be established, enforced or defended.